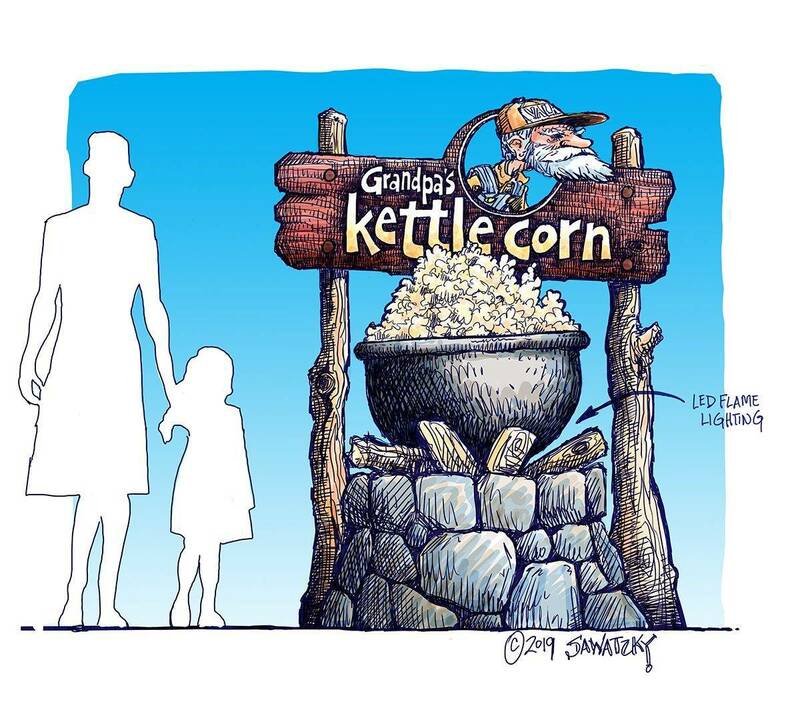 Ever Wonder What Happens at a 3-Day Sign Camp? 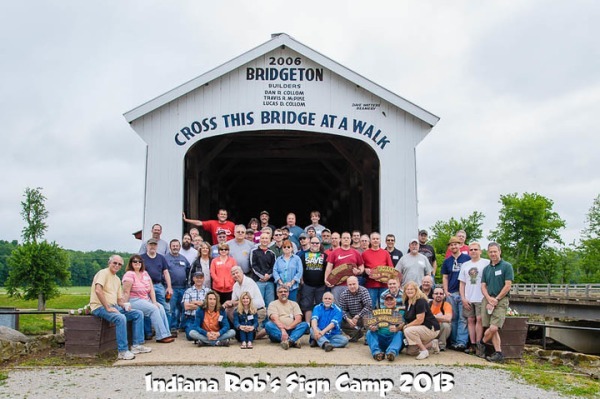 Last week signmakers got together in Bridgeton, IN. 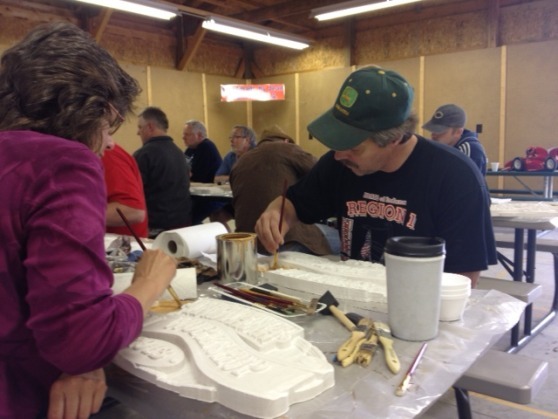 Held in a county known as the “Covered Bridge Capital of the World“, over 50 signmakers from all over the world were together for a creative learning experience. 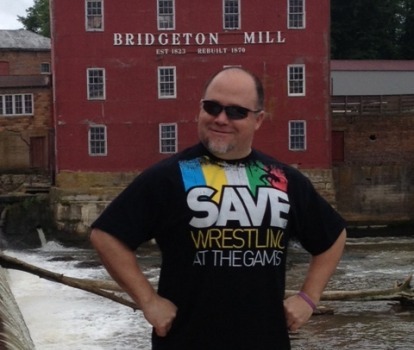 Thank you to Rob Jones, owner of Covered Bridge Signs for putting this whole thing together. 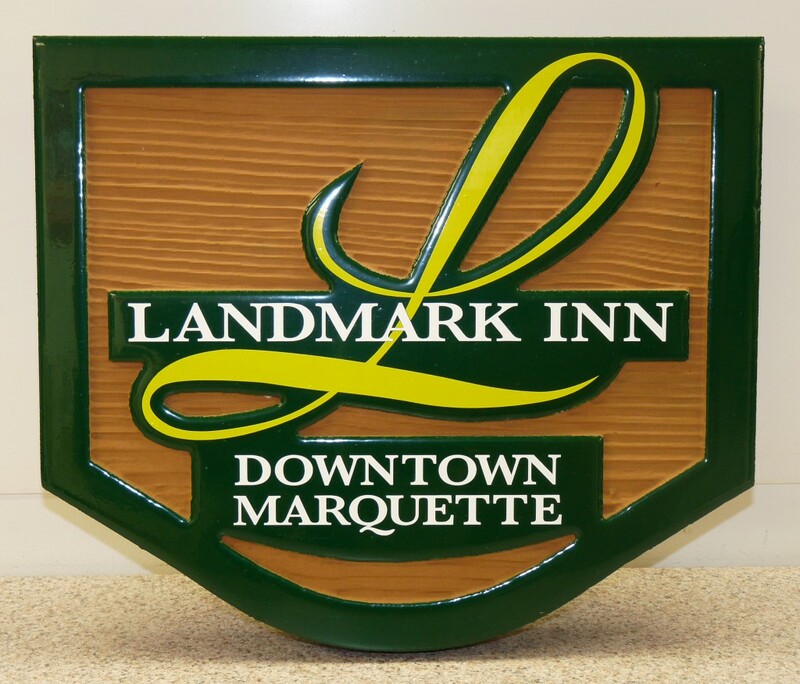 Also thanks to Ed Morgan, owner of Branson Cedar Signs for these beautiful pictures! 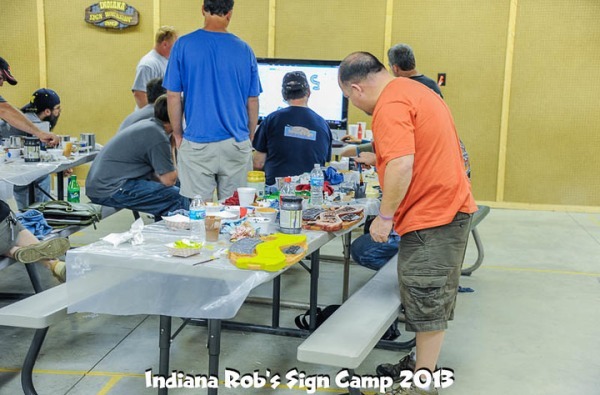 The Indiana sign camp was held over the course of three days and was an open-minded workshop covering everything from installation, signmaking and finishing techniques to tips for up-selling signs. Part of the beauty of workshops such as these is the wealth of knowledge available from everyone in attendance. 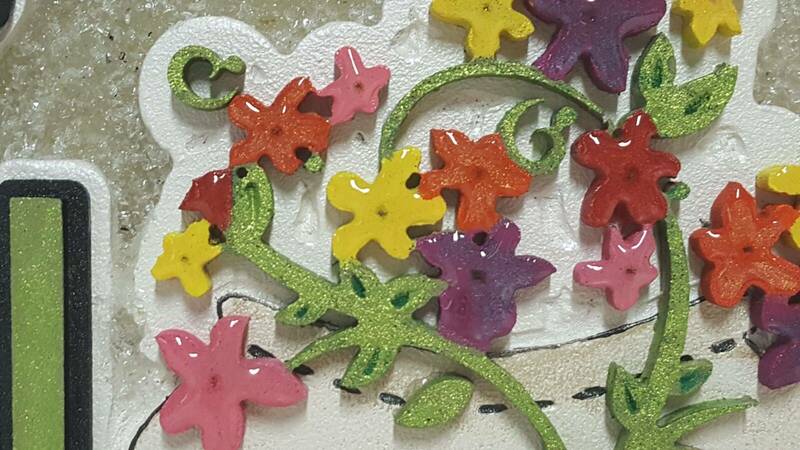 Being so close to other talented craftsmen allows for a unique brainstorming of creative ideas, and really lets the goal of helping each other become successful shine through. 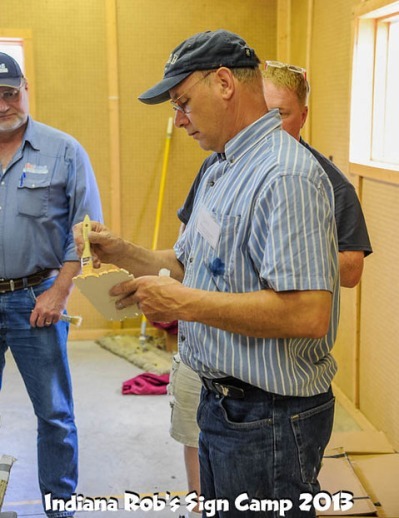 Throughout the 3-day workshop, attendees were taught techniques from several well-known people in the sign industry including Dan Sawatzky of Imagination Corporation, Sandy Baird of Windwalker Signs, Jamie and Jody Oxenham of Oxenham Design, Peter Poanessa of Keene Signworx and Kellie Miller of Coastal Enterprises. 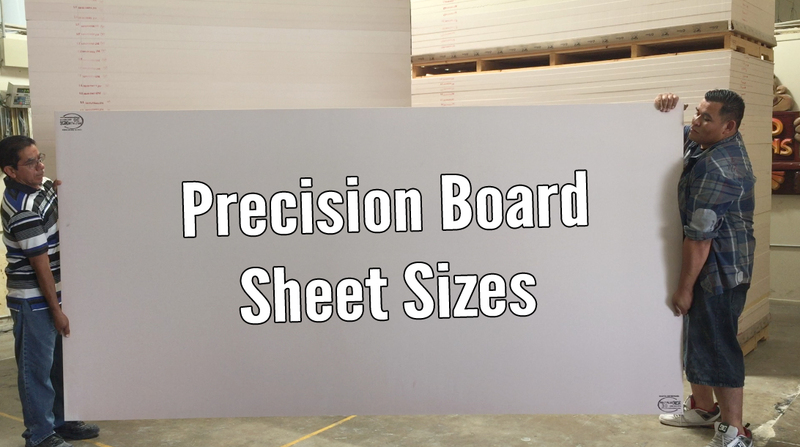 Each attendee received a CNC routed piece of Precision Board Plus PBLT-30 and was able to walk through the steps of building a 3-d sign including priming, painting and finishing techniques. 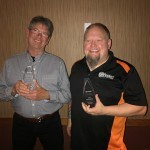 Everyone had a chance to spend time with different instructors and all walked away with something new that was helpful to them. 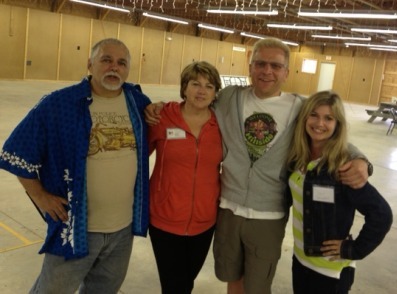 Sandy Baird from Canada, Kellie Miller, Manfred Didier from Germany and Jody Oxenham, also from Canada. 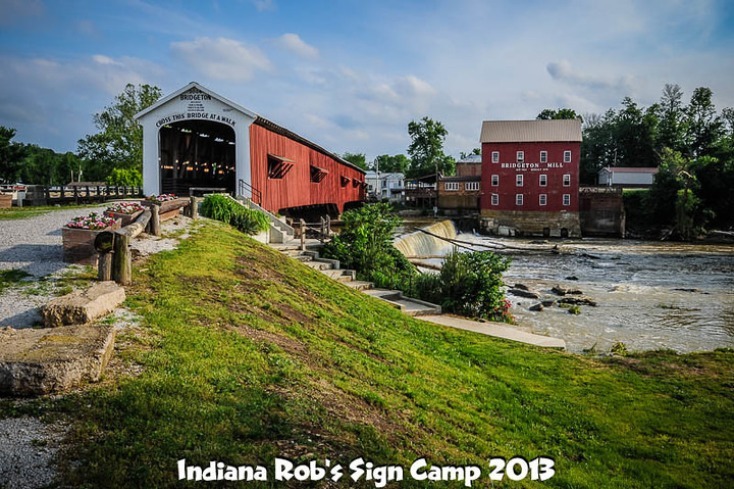 This is the 3rd sign camp held by Rob Jones, owner of Covered Bridge Signs, and the largest yet. 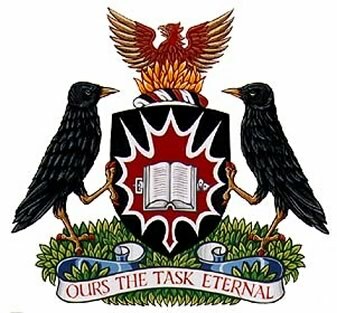 If you weren’t able to make it, we look forward to seeing you next year! 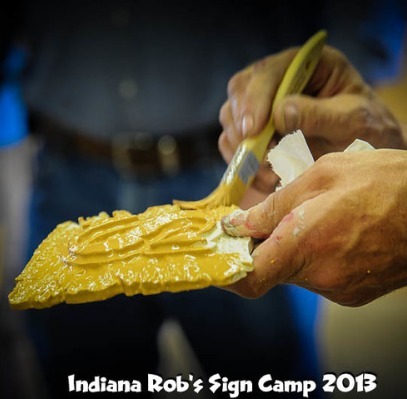 Click here to see more pictures of the sign camp taken by Ed! 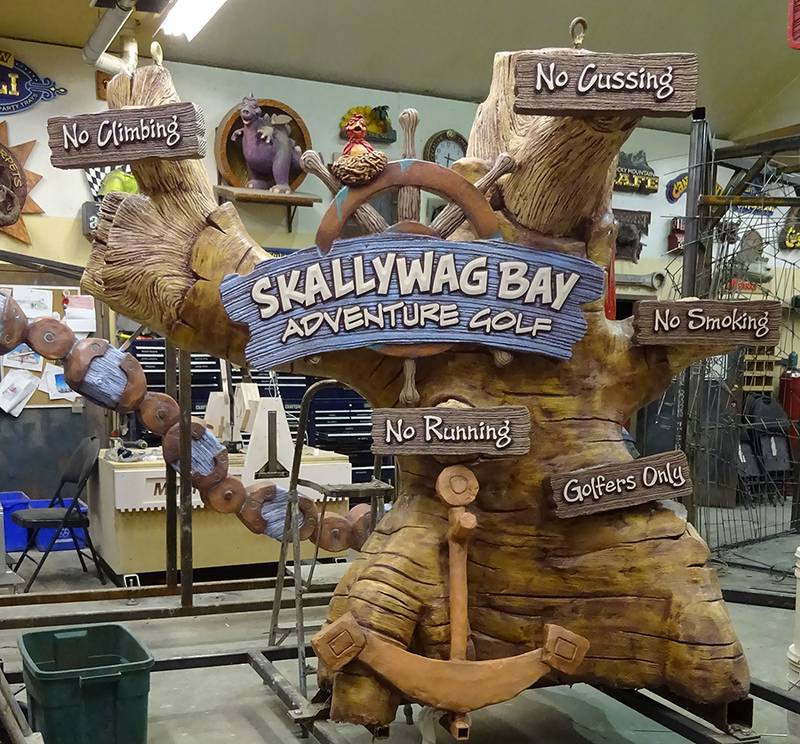 Skallywag Bay Adventure Park – Another Sawatzky Masterpiece!